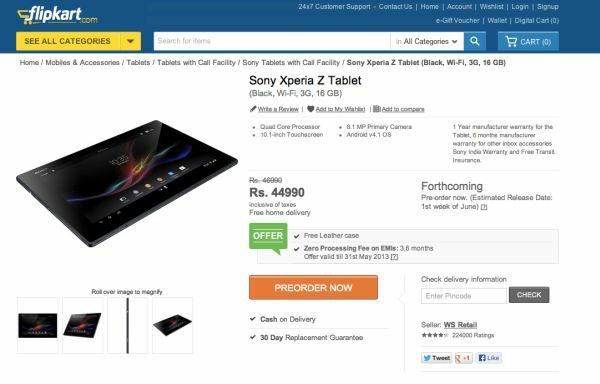 The Sony Xperia Tablet Z is up for pre-order on Indian online retail websites. The tablet is priced at Rs. 44,990 and will ship in the first week of June. 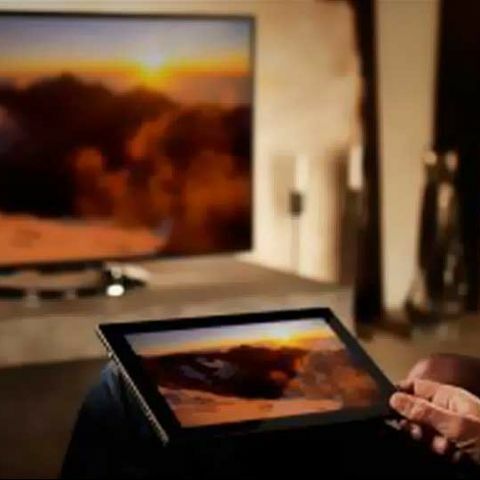 First showcased at MWC 2013, the Sony Xperia Tablet Z will finally make its debut in India. The tablet has made an appearance on the Indian online retailers such as Infibeam and Flipkart. The tablet is up for pre-order on these shopping sites, while the listing of the product reads that it will ship in the first week of June. The Sony Xperia Tablet Z is 6.9mm thin and weighs a mere 495 grams. The tablet is premium priced at Rs. 44,990, more expensive that the iPad. 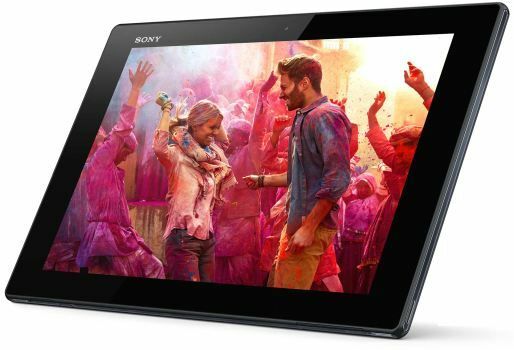 The Xperia Z tablet has a 10.1-inch full HD display and is powered by Sony’s Bravia engine. Under the hood, the tablet has the quad-core Qualcomm Snapdragon S4 Pro chipset clocked at 1.5GHz along with 2GB of RAM. It supports 32GB built-in storage expandable up via a microSD card. For its connectivity options, the tablet has NFC, Wi-Fi and Bluetooth. The rear of the tablet has an 8.1MP camera and the front has a 2.1MP camera. A 6000mAh battery powers the Xperia Z tablet. One notable feature of the Xperia Tablet Z is the “S-Force Front Surround 3D” which is said to improve the sound from the tablet. If you are in the market to pick up a premium tablet you can take a look at the Samsung Galaxy Note 800, Asus Transformer Pad TF300TG and of course, the iPad before making your purchase decision. Anyone using Sony Xperia Tablet Z (SGP321) 16 GB WiFi? what is the use of Intelligent BIONZ in Sony Xperia z mobiles?